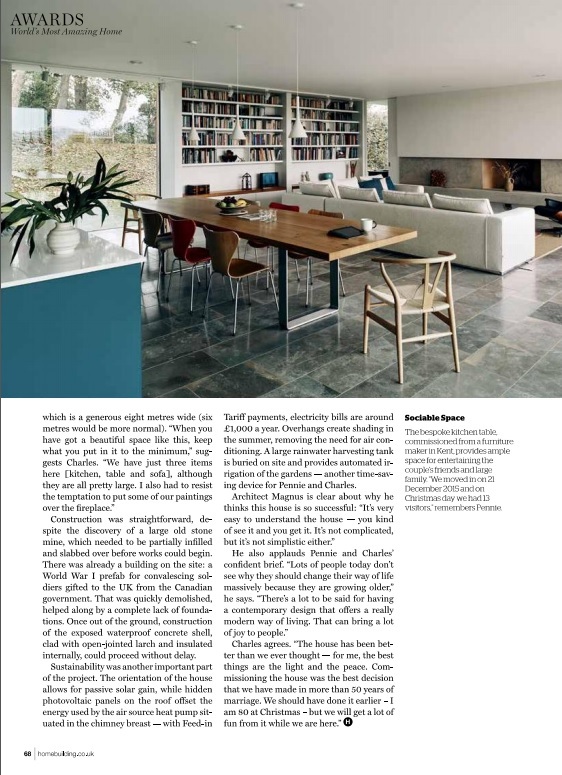 It has been great to follow our clients home 'The Quest' through recent TV and other media coverage, including the article in this months Homebuilding and Renovating magazine. We supplied a bespoke table for the project with the table top made from 100mm wide strips of kiln dried oak which ran the full length of the table and were joined in width to produce a table top 1000mm wide by 3500mm long and 50mm thick. The bases were a pair of brushed stainless steel hoops. We were pleased to be able to produce and donate this bench towards Miss Beth Clancy's Holiday House room recently. Holiday House aims to raise funds towards breast cancer, which is a great cause. It also gave us the chance to experiment with some copper legs under the solid sycamore bench. We have been working on this bed for a client building a new house by a lake in the Cotswolds. I don't think we will be allowed to take photographs on site so have taken some in the workshop whilst in progress. It is made from elm but it has been stained particularly dark. We have been working on the Bayswater project for Studio Hopwood for over a year now since initial conception and thought we would share some photographs from the beginning. The original plan was to use walnut for the shelves, however a pretty extensive search of some sawmills in the French and Swiss Alps did not yield and walnut which suited the brief, some of the views were pretty special though. A mock up using the actual shelves to decide the locations of the lightboxes and their dimensions, given the contours of the shelves. Flew out to Jersey to install some pieces at a new house for a client. Sadly no photographs allowed but I finished early enough to have a walk along the stunning beach. Also tried to persuade the client to let me fly out to install our table at another project in Barbados in a month's time, they think they can manage that without our assistance. Pleased to receive some photographs of this bookmatched live edge walnut table which we supplied for a project by Base Architecture. We recently delivered a bookmatched oak table with square edges to a client of Clifton Interiors in London. This table is made from uniform width strips of European walnut and sits on a pair of cast ductile iron bases we had produced and then powder coated to the clients choice of RAL colour. We recently delivered this bookmatched live edge elm table to a client in London. Delivered a new 2.4m long table made from a pair of burr oak boards with waney edges on a pair of raw steel hoops. Also a pair of oak benches on raw steel hoops. The burr oak shows some brown / tiger colouring in the grain, making it particularly unusual. This week we will be delivering this square edge American black walnut table made from random width strips which run the full length of the table. The client chose to have raw steel hoops as the base. We don't usually stray into cabinet type items but a regular client persuaded us to have a go and we were quite please with the result. We supplied this natural edge elm counter top to Mrs Atha's Coffee shop in Leeds, it was stained and then had a bar lacquer applied to provide as much protection as possible from the high intensity use. We recently delivered this bespoke coffee table to a client in Clerkenwell, A thick single width elm to with shadow gap on a box steel base. We recently delivered a waney edge table to Peasburge Barn, a project of Clifton Interiors. The table is made from a bookmatched pair of Scottish elm boards and sits on solid pedestal bases.